Last month, civil rights leader Gardner C. Taylor, a close friend of the Rev. Dr. Martin Luther King Jr., died at the age of 96. His death is a poignant reminder to scholars working to preserve the stories of civil rights leaders that time is short. Curry School of Education Professor Derrick Alridge is one such scholar. Alridge’s project, Teachers in the Movement, is a civil rights oral history research project aimed at videotaping first-person accounts of educators who found themselves at the forefront of social activism taking place in schools, classrooms and communities during the Civil Rights Movement of the 1960s. “Throughout the 1960s, African-American teachers and principals worked in both segregated and integrated schools,” Alridge said. “There were challenges in both settings. In segregated schools, African-American teachers often found themselves with fewer resources than teachers in all-white schools. In all-white schools, they found themselves working in all-white neighborhoods, with all-white staffs and student bodies. Recently, the team interviewed Johnnie M. Fullerwinder , who in 1966 became the first African-American teacher at George Washington High School in Danville, where she taught biology and physical science. “As is sometimes the case with these pioneers, Ms. Fullerwinder didn’t consider herself an ‘activist’ per se, though they certainly were,” Alridge said. In her interview, Fullerwinder explained that she knew she was doing something important. “I knew that if my students and fellow teachers saw me do my job well, they would come around,” she said. According to Alridge, scholars have not documented nearly enough about the participation of teachers in the Civil Rights Movement. He is interested in teachers’ experiences, what they taught and how they taught. It is his hope that this project will ultimately preserve hundreds of firsthand testimonies that will be an open-source database for civil rights education moving forward. Alridge and his team originally focused their interviews in Virginia, but have since expanded their footprint. To date, they have conducted more than 25 interviews of educators from Virginia, Maryland, North Carolina, South Carolina and Georgia, including Dr. Wyatt Tee Walker, chief of staff and advisor to Martin Luther King, Jr. and Dr. Edward Peeples, prominent Virginia civil rights activist and emeritus professor at Virginia Commonwealth University. Alridge hopes to interview 50 more educators by the end of the calendar year. Though it’s still early in the project, he said themes are already beginning to emerge. The educators often focused on being great teachers and doing the right thing. The courage it took to accept a position in all-white schools was often paired with an intense determination to pursue excellence. The educators interviewed often spoke of having a unique vantage point. Ultimately, many taught in integrated schools where, watching young African-American and white students interact, they were inspired to believe that the future was going to look very different. “These teachers truly believed in Dr. King’s vision of a ‘beloved community,’” Alridge said. In addition to often serving as the first or only African-American educators at all-white schools, these activists also introduced culturally relevant curricula in their classrooms. “These teachers actively included black history and culture in their lessons,” Alridge said. Some white educators actively engaged in civil rights efforts,Alridge said, and supported efforts to integrate schools. The Teachers in the Movement project is the only endeavor of its kind focused exclusively on conducting, collecting and disseminating videotaped oral histories of teachers and administrators in the Civil Rights Movement, Alridge said.. The initial phase of the project was funded in part by a grant from the University of Virginia’s Jefferson Trust. 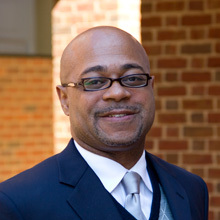 Other UVa collaborators include the Curry School of Education, The Carter G. Woodson Institute for African-American and African Studies, the Corcoran Department of History, The Institute for the Advanced Technology in the Humanities, and the Desegregation of Virginia Education (DOVE) Project at Old Dominion University. The project will ultimately be housed on a website that will offer free access to the interviews, historical documents, as well as biographical sketches of the activists and timelines of historical events. The website will also provide lesson plans for K-12 teachers utilizing the videos to teach the Civil Rights Movement. Alridge and his team are working with community leaders and organizations, local churches and schools to identify educators to interview. To nominate someone, contact Alridge at dpa8w@virginia.edu or 706-255-8268.